In the Sunday Times, March 29, 2009, Joe Saxton remembers his friend Nick Hughes. Read "What suicide gene? My friend Nick was brilliant, passionate and fun". This is a long, thoughtful, considerate remembrance of a man we as Sylvia Plath readers, fans, scholars, etc. "knew" only as a baby. Thank you, Mr. Saxton. The media blitzkrieg surrounding the suicide of Nicholas Hughes has led many to immediately connect it to his mother's suicide in 1963. Ben Hoyle at The Times authored "Death of Ted Hughes 'drove his son Nicholas towards suicide'", a follow-up article to his March 23 news-breaking story. In this article, he quotes one of Nicholas Hughes's oldest friends, Joe Saxton, in which Saxton's opinion is that it was the death of Ted Hughes - and not that of Sylvia Plath's - that had a direct relationship to Nicholas' mental health troubles, and ultimately his suicide. While it is certainly more plausible for this to be the "cause" but unfortunately with suicide it is really all a mystery. Which in part has fuelled the conversity for almost five decades surrounding Sylvia Plath's death. Cancer and other causes of death are readily explainable and, to a certain degree, understandable. Suicide is the exact opposite. It is a private decision made for private reasons and no matter whether a note was left or not, Nicholas' reasons were his reasons there is not much more we can say about that. We want to be able to name something - place blame, whatever - in the absence of something concrete or tangible - like a tumor. But it really just makes us all look a bit desparate. I'm not a medical doctor and don't put much stock in psychobabble, but nothing everything is explainable and that is ok.
Mr. Saxton spoke with another friend of Nicholas's in Alaska and, according to the Hoyle article Nicholas was in a rough patch and "he just fell through the cracks in one brief moment". This is actually closer to Sylvia Plath's suicide, as anyone who has studied her final weeks well knows. Plath moved to London in December 1962 and was very busy fixing up her flat, making plans and commitments, seeing friends, and writing really wonderful prose and poetry. And then comes that weekend when she could no longer cope, and she, too, "fell through the cracks in one brief moment". Ted Hughes, in letters to Keith Sagar, blamed the drug that Plath was put on for her suicide. Of all the theories and rationalizations for Plath suicide, this may fit more than anything else. It is quite possibly the only thing that "changed" in the last week or so of her life. If Nicholas, too, experienced adverse reactions to anti-depressant medication it could also have had an influence on the decision he made on March 16. What a hypocrite I am, trying to explain it! The aftermath of Nicholas Hughes' suicide is now upon us. Judith Flanders writes in The Guardian today "This is not a curse Reactions to Nicholas Hughes's death are all too predictable". This is a very good response and reaction to the sensation that blew in yesterday. Especially the closing paragraph. The Mirror's "Sylvia Plath's son Nicholas Hughes hangs himself, like his mother" by Rebecca Evans. The headline indicates that Plath hung herself, which we know is incorrect. Equally atrocious is the First Post's "Sylvia Plath and the child she killed" by Coline Covington. It must be easier to blame Plath for Nicholas' decision. Ian Sample's "Death in the family" in The Independent, as well. From the headlines it is easy enough to determine decent, responsible reporting versus gossip hungry, sensationalistic blather. Mona Molarsky's obituary, "Nicholas Hughes, son of Sylvia Plath, commits suicide", appeared today at the Examiner.com. No matter anyone's opinions on Sylvia Plath, Nicholas Hughes, and the Hughes family - may Frieda Hughes and the remaining members of that line and the friends that cared for them have some privacy and peace. I had a phone call yesterday from Elizabeth (Compton) Sigmund who looked after Frieda and Nicholas in 1963 after Plath's death and remained in their lives throughout the 1960s. She was distraught and like the rest of us - without words. This is another difference between those invested in the work (and life) of Sylvia Plath and the media - those that actually care (in whatever degree it is possible from however removed we are) are just left speechless. The School of Fisheries and Ocean Sciences at the University of Alaska at Fairbanks has created a memorial page for Nicholas Hughes. This may be the best place to learn about him. The Times, and other news sources, are reporting the suicide of Nicholas Hughes, the son of Sylvia Plath and Ted Hughes. At the Guardian Blog, Judith Flanders writes, "Nicholas Hughes's death tells us nothing about Sylvia Plath's poetry". Erica Wagner contribues an article to The Times, "Obsession with self set limits on Sylvia Plath's poetry". Amazon.com lists Catherine Bowman's new collection of poems, The Plath Cabinet, as available. The Times has published a Top 10 list of literary one-hit wonders! 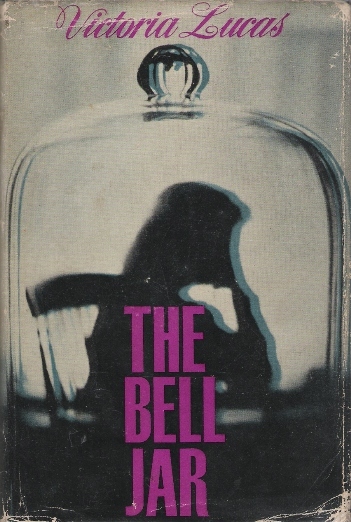 Plath's The Bell Jar, made the list. Neatly, they've included the original reviews. Click here to read what was said on January 24, 1963. Rather it should say that Victoria Lucas was the one hit wonder, non? Sylvia Plath fans booking tickets to New York to visit the Morgan Library may want to make other plans. Through Philobiblos, I've learned that Richard Prince is not in talks with the Morgan to donate and exhibit his collection. Bummer. Last Sunday I met Sweden's Sonja and Florian Flur in Winthrop and toured a selection of Plath sites in Winthrop, Wellesley, Jamaica Plain and Boston. We had a beautiful day, just as Plath described in her journal on March 9, 1959 - the day she and Ted Hughes visited Winthrop. At the grave of Otto Plath, we compared Plath's writing in three separate pieces: her journal, the poem "Electra on Azalea Path", and in The Bell Jar. It was a very memorable day. 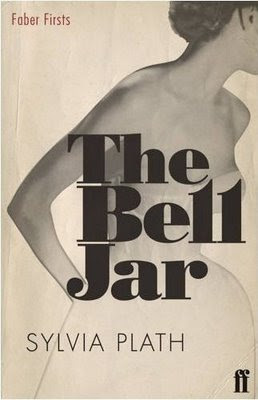 On 7 May 2009, Faber will release two new editions of books by Plath: The Bell Jar and Selected Poems (selected and edited by Ted Hughes). These are part of their 80th anniversary editions. Here are the covers! Columbia University Press, future publisher of Luke Ferretter's Sylvia Plath's Fiction: A Critical Study, is having a spring sale. 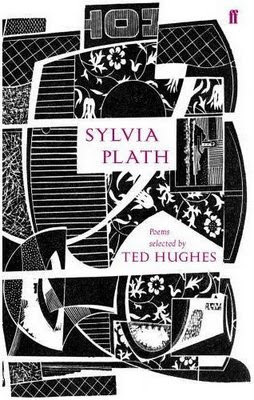 The only Plath title available is The Poetry of Sylvia Plath: Essays, Articles, Reviews edited by Claire Brennan (paperback, 208 pages, ISBN: 978-0-231-12427-0). The original price was $20.50; but it can be yours - while supplies last - for a mere $4.10. If you want the cloth edition, it'll still cost $75.50. Deborah Nelson's Pursuing Privacy in Cold War America is also on sale at $5.60 (down from $22.00). While not just about Plath, she does receive some coverage. Nelson, you may recall, published the essay "Plath, History and Politics" in Jo Gill's 2006 Cambridge Companion to Sylvia Plath . If you don't stimulate the economy - no one will! UPDATE: 3 April 2009: The book is now available through Amazon.com and other book sites. I've got mine - have you got yours? CORRECTION: 13 March 2009: The book is not quite ready due to some production problems, but hopefully before too long it will be available for purchase. I'll update as I can. Released a week ago: Releasing Philosophy, Thinking Art: A Phenomenological Study of Sylvia Plath's Poetry by Ellen Miller. This book is published by The Davies Group Publishers. Amazon lists the book for $24. The product description reads: "In this first, full-¬length philosophical examination of Sylvia Plath’s work the author develops an applied phenomenological study of her poetry. Releasing Philosophy, Thinking Art explores how Plath's poetic themes overlap contemporary philosophical questions in the philosophy of language, environmental ethics, and feminist theory. This book will appeal to a wide audience in many areas of philosophy as well as those concerned with literature, art criticism, women's studies, and religious studies." Sylvia Plath long sought to publish poetry and short stories in The New Yorker, one of the most esteemed periodicals of all time. "The Net Menders" on 20 August 1960. Did you know that in Plath's lifetime, after she signed this contract, The New Yorker accepted only three additional poems? "On Deck" appeared on 22 July 1961; "Tulips" appeared on 7 April 1962; and "Blackberrying" on September 15, 1962. From the time she signed this contract, which was renewed in 1962, Plath had slightly greater success publishing poems in rival magazines such as Harper's, and literary journals such as London Magazine and Poetry. The Sunday Times reports that Richard Prince - one of the world’s most dedicated bibliophiles - is planning to give away a multi-million-dollar collection of 20th-century literary treasures. Two items of interest to this blog & its readers are a letter written by Sylvia Plath dated February 10, 1963 - the day before she committed suicide. The recipient of the letter was not revealed. Prince also has a copy of Plath's first published book The Colossus. The copy is special in that Plath drew a little heart next to Hughes’s name. The Morgan Library in New York City is in negotiations to acquire the Prince's collection.